The coffee bread is sponsored by Wiley-VHCA to celebrate the 100th anniversary of Helvetica. 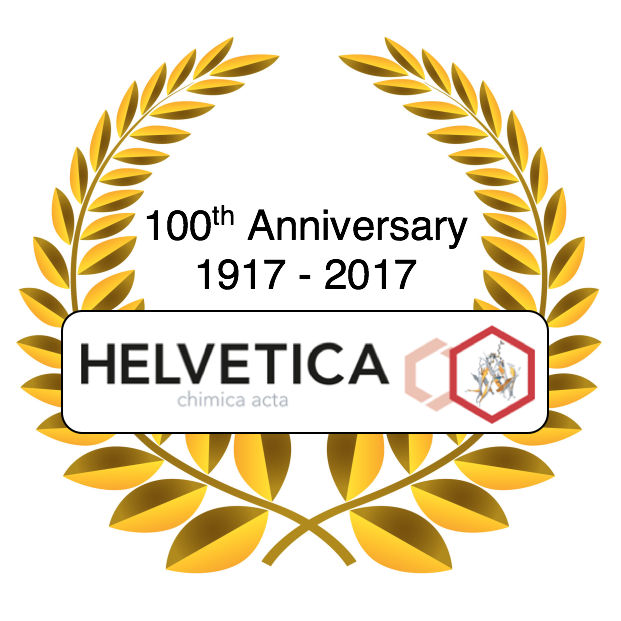 The Swiss Chemical Society and Helvetica Chimica Acta (HCA) share a long history, and the 100thAnniversary of HCA finds them closer than ever before. To commemorate the remarkable history of HCA and the relaunch of the journal as Helvetica – A Journal of the Swiss Chemical Society, we invited two distinguished speakers with strong connections to Switzerland. This event will celebrate the spirit of Helvetica: Fantastic science, insightful scholarship, and molecular surprises. It will also serve as a launch pad for its next 100 years! Founded by the Swiss Chemical Society Helvetica Chimica Acta is now in its 100th year of publication and has a high reputation amongst original full-paper chemistry jounals. Helvetica Chimica Acta is a monthly multidisciplinary journal dedicated to the dissemination of knowledge in all areas of chemistry. With emphasis on the multidisciplinary nature of the journal, progress in sub-disciplines including but not limited to organic, inorganic, physical, technical, and analytical chemistry is reported.